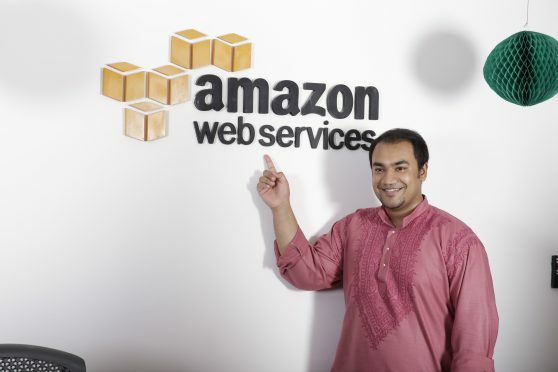 How to get an internship at Amazon Web Services - from someone who did! How to get an internship at Amazon Web Services – from someone who did! About the Author: Nilabh Sharma, a student of Jagannath International Management School, Kalkaji, Delhi, shares insightful details about how he got an internship at Amazon Web Services along with some snippets of his journey. All the hustle for the internship started after the first year. Being an engineering grad, I was tensed as the pure commerce students were performing much better than me. I had 2 months in hand before companies arrived for the placements, and so I started preparing sincerely. I was in constant touch with our TPO and got a fair idea about the companies that were expected to come for hiring. I shortlisted the companies on the basis of the profiles they generally hired by visiting their careers section and matching my profile and future goals. After shortlisting, I started preparing for the aptitude test through different resources and spent some time on personal grooming and vocal training too. I practiced my introductions and some common interview questions first on my webcam, recording everything, and then with my friends. I made it a habit to use Economic Times and Google daily for getting updated with world news and the impact of smallest of things on Indian and world economy. I also spent considerable time in researching about the companies – their history, work culture, market share, etc. Finally, the day came when one of my dream companies, Amazon, was coming to our campus. I woke up early and got into my formals and rushed to the campus just to have my excitement turned into anxiety after seeing the huge crowd that had turned up for the internship. Moreover, Amazon announced that it was going to hire only two interns. I somehow managed to calm my nerves and decided to give my best without worrying about the results. The selection process started with an aptitude test which was very obvious and I cleared it easily. The shortlisted candidates then faced a telephonic interview round, a short 15-minutes interview which consisted of a formal introduction from the HR and a brief on the internship profile. Then I had to give my formal introduction and share why I was interested in that internship. This was mainly for testing our verbal communication skills. The result of the telephonic round was declared after a couple of days and 70 candidates were shortlisted from all JIMS campuses across NCR. Now it was time for 3 rounds of personal interviews. I was asked to introduce myself. I talked about my educational qualification and previous work experience. Next, I was asked if I knew software development and coding. I replied that even though I hadn’t worked on any software development platform, I had a good knowledge of HTML, SQL, C, C++, basic Python and even had certification in .NET from HCL career development, Jaipur. I was then counter-questioned about not pursuing a career in programming even though I had a fair knowledge of programming languages. I hadn’t expected this question and was suddenly speechless. I decided to be honest and replied that when the companies came for placement in the final year of graduation, like other students, I just wanted to be placed in a good company as the competition was tough and wasn’t inclined to get a specific profile. That’s how I ended as a quality executive at Flipkart where later on I developed an interest in sales and marketing which changed my higher education goal from M.Tech to MBA. This interview lasted for around 45 minutes. He briefed me about the internship role and explained how AWS functioned, its competitors and partners, etc. I was then asked to name some of AWS services. As I had gone through the AWS website before the interview, it was easy for me to name a few like EC2, S3, etc. Lastly, I was asked how cloud technology worked. I gave a satisfactory answer and was told that I had good enough understanding. He introduced himself and gave a brief overview on how the solution architects helped in Amazon ecosystem. After I introduced myself, I was asked to explain my exact work and responsibilities at Flipkart. I talked about my work in the e-books category – handling the categorisation of e-books, merchandising, market research, crawling other sites for detailed information, and interacting with international publishers for digitising e-books and their pricing. I was then asked to share my biggest achievement at Flipkart to which I replied that I helped in making the BISAC mapping tree which was followed by the whole team to map the e-books to the right categories. This was a very brief interview which lasted only for 5-10 minutes. I was asked to explain myself in 30 seconds. When I reached this round, I was almost sure that I had been selected! Soon the results were announced, and two of us were hired for the six-month internship. I got an opportunity to work directly with the channel head of AWS as a partner development intern. I had to make notes every day for new services and learnings as the pace at which the people work at AWS is super-fast, almost like robots. Deadlines are taken seriously and every assigned task should be delivered within the communicated timeframe. I was supposed to understand the business by completing the basic training and formalities strictly within a week. Post this, I was looped in with the US and Singapore teams for channel operations. Within a month, I became the single point of contact (SPOC) for all the teams in India and abroad for the operational activities like fund requests, claims, vendor registration process, partner APN issues, and partner communications flow! My performance was good and I had started gaining the trust of my seniors; many more tasks were assigned to me not only from the channel team but also from the sales, solution architect, and marketing & mobility teams. I was directly interacting with the CEOs of the big MNCs and making a name for myself. All the AWS partners knew me and I handled all their queries and forwarded them to the right team. My internship was coming to an end when the channel head suddenly resigned. He hadn’t submitted my feedback too, but seeing my performance the marketing head took over the mentorship role and extended my internship for another six months. Technically, I went to college for just a year! So cool, right! This time I was given even more responsibilities like managing vendor setup, channel marketing, webinars, and managing telemarketing campaigns and events which included customer and partner events. I managed conflicts between marketing agencies and partners and also looked after the partner and customer training. At AWS, awesome is AWSOME and people work with a simple motto – “Work hard, have fun, and make history.” After the internship got over, I was hired by an AWS Partner as the marketing head! In short, that whole year was a roller coaster experience and it gave me a lifetime of learning. Want to intern at a big brand yourself? Apply to these cool MBA internships and take the first step towards your dream career.